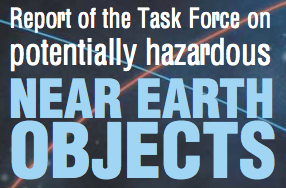 Since 1998 NASA has part-funded the “Spaceguard System” consisting of 5 asteroid detection programmes, and there are some other search programmes operating around the world such as the Japanese Spaceguard Project at Bisei, the Asiago – DLR Asteroid Survey in northern Italy and the SCAP Programme in China.So how are they doing? The number of known near-Earth asteroids (NEAs) larger than 1 km diameter (or, more precisely, brighter than absolute magnitude 18) has passed the 800 mark. If the population of NEAs larger than 1 km is 1000 (the consensus figure from several studies), 800 represent 80 percent completeness. At the end of 2005 NASA was directed to set up a follow-on project to find 90% of NEOs with diameters greater than 140 metres by the end of 2020. 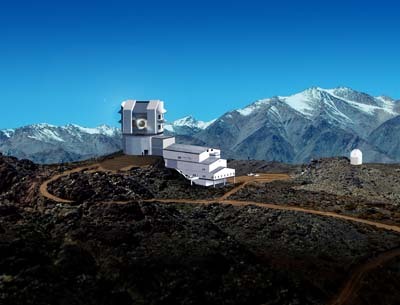 To do this a new generation of telescopes will be required, and these are likely to include the enormous LSST (The Large Synoptic Survey Telescope), the DCT (The Discovery Channel Telescope) and Pan-STARRS (The Panoramic Survey Telescope & Rapid Response System). Sun they will have different speeds (Kepler’s 3rd Law – The squares of the orbital periods of planets are directly proportional to the cubes of the semi-major axes (the “half-length” of the ellipse) of their orbits). This means not only that larger orbits have longer periods, but also that planets further from the Sun travel slower than ones closer in. After some time the Earth and the Virtual Asteroids have moved to different positions – the region of uncertainty has moved and changed shape. If we make another observation a second cone will appear, and the real position of the asteroid will be where they cross. This will exclude many VAs and the region of uncertainty will shrink. If the period is longer (1 year) the uncertainty region is much more elongated and the asteroid’s position can be determined much more accurately. NEOs are often very near to Earth. They can be studied not only with classical astronomical instruments and instruments that aren’t often thought to be used in astronomy, such as radars. 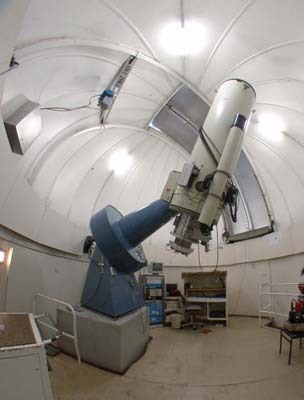 Photometry is often used to study the brightness variations of asteroids over a period of time, obtaining curves where these variations of brightness are represented: the light curves. Asteroids have irregular shapes and usually rotate. When an irregularly shaped object rotates, it will reflect different amounts of light as time goes on, so the brightness of the point of light observable will change with time, depending on the observable area. Time series measurements of the asteroid’s brightness variations produce light curves. The time it takes for a light curve to start repeating is the length of the asteroid’s day, called its rotation period. The light curve amplitude (how much the curve goes up and down) gives us some information about the asteroid shape. Chemical composition can be determined by spectroscopic observations – by collecting and analyzing their spectra. Radars are powerful sources of information about asteroids’ orbits and physical properties, but the best way to find out about asteroids and comets is to go to them and look close up. Over the past decade a number of US and European spacecraft have visited asteroids and comets, and have provided invaluable “in situ” data.